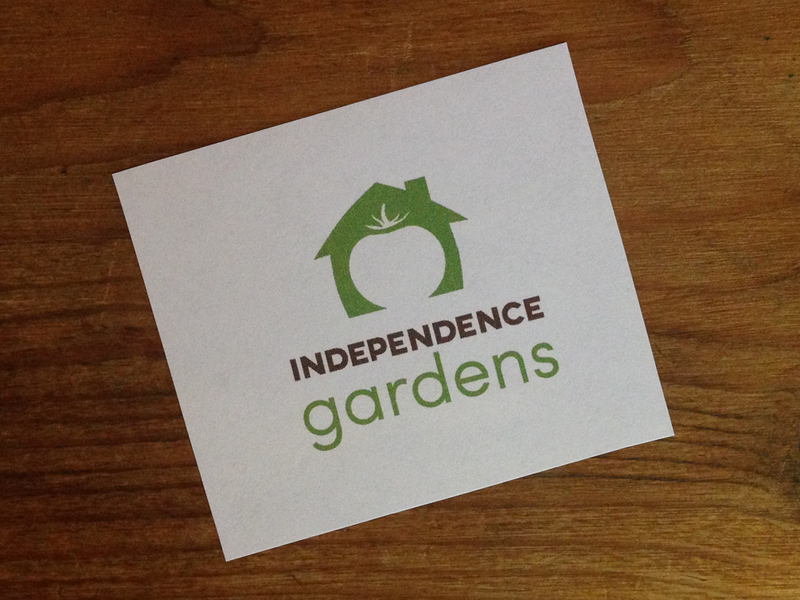 Independence Gardens helps people create better relationships with their natural and built environments. We needed a logo that would speak to their ability to help people with garden and landscape projects as well as home construction and renovation projects. We were also transitioning from an existing brand, so we wanted to preserve some features for continuity. We kept the green and brown color scheme, and a brown fingerprint that hints at the hands-on nature of their work. The previous brand featured a tomato plant, so we kept that aspect as well, simplifying it into the single, ripe, luscious tomato at the center of their logo.